Martin Lawrence was recently on Conan to promote his new series Partners, in which he plays a lawyer opposite Kelsey Grammar. Are you up for another Bad Boys? What did you think of the previous two? I do not like action movies! I rarely watch one and if it says ACTION anywhere I will not watch as they usually also mean "violent" which I do not enjoy. I will not be watching this, nor have I watched the others due to these reasons -I don't like things like this that seem so unreal and unlikely even though I like some sci fi which is often also unlikely.. Same as Finy. If it's got lots of violence in it, Im not interested. It completely makes me switch off. I've only seen the first Bad Boys and that was years ago. Although I do enjoy action flicks, I just can't do Will Smith or Martin Lawrence in action roles, it just doesn't seen right. 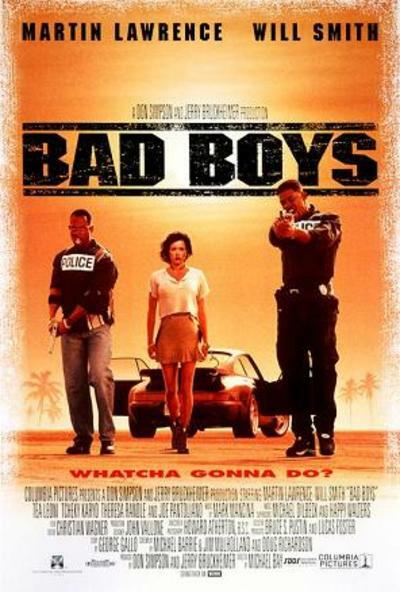 The first Bad Boys film has some good one-liner which kept me laughing, but I didn't find the film very memorable overall.